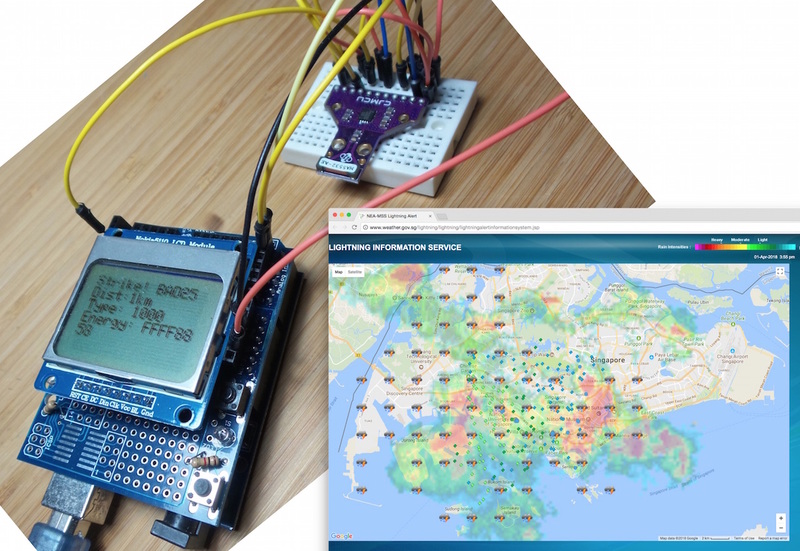 I first heard about the AMS AS3935 Franklin Lightning Sensor in Arduino for Ham Radio. They are available as modules with built-in tuned antenna, but are relatively expensive/rare. I finally got my hands on one to experiment with. Since we have between 171 and 186 lightning days on average a year here in Singapore, with each square kilometer being struck up to 16 times annually, I’m expecting to have some fun with this. Here’s a first step - exploring the programming of the module with the standard Wire library. So far so good!